The sophistication of Broadway, impressive buildings, iconic landmarks, and the bustling people of New York are just some of the attractions that lure people to the Big Apple. Tourists who would like to make the most out of their short visit need to plan and prioritize their tours. Here are some suggestions for a two-day New York Vacation. The first order of business whenever one is travelling long distance is to make sure that all the travel documents like insurance, passports or ID, etc., are in order and travel arrangements have been booked and confirmed. It would also help if tourists can familiarize themselves with the transportation and routes in New York so they can easily find their way around the city. A Big Apple vacation can start by taking a flight to JFK International Airport, the main airport in the city, followed by an AirTrain ride from JFK to Beach Subway Station, then transfer to an A-Train to Manhattan where you can find great lodgings for your visit. Before starting your tour, drop by the main tourist office where one can get a New York pass that gives access to popular attractions in the city as well as discounts in some of their dining establishments. One can easily get overwhelmed with all the attractions and would naturally want to visit them all. Sadly, this is a difficult feat for tourists on a two-day visit. Those who are incapable of making hard choices can simply follow these recommended sights for first time visitors. Ladies always comes first, so at the top of the list is Lady Liberty herself or the Statue of Liberty. This spectacular symbol of freedom, democracy, and independence has long been recognized as an icon for the city and in some instances for the United States itself. It has also been recognized as a UNESCO World Heritage Site which is another reason why you shouldn’t miss it. 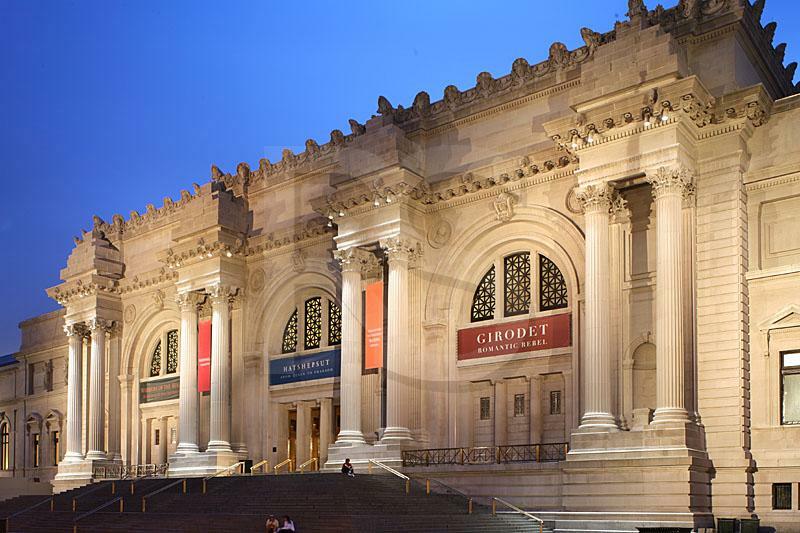 Next on the list is the Metropolitan Museum of Art. A trip to any city will not be complete without a visit to one of the largest art gallery in the globe. This structure holds over 2 million pieces of artwork that range from classic to contemporary, with some fine examples of Asian, Egyptian, and Byzantine art. New York City is often associated with skyscrapers and modern structures but it is also home to one of the largest parks in the world, the Central Park. Strolling in this massive 843 acre park is one of the popular activities in the city. Those who explore the park will discover that there are also rock climbing and various sports activity area in the park. There are also several sculptures around the park that one may find interesting. Last but not the least is the Empire State Building. This structure reigned as the tallest building in the world for 40 years. Tourists can experience some of the best views of New York by visiting the 86th floor of the building.